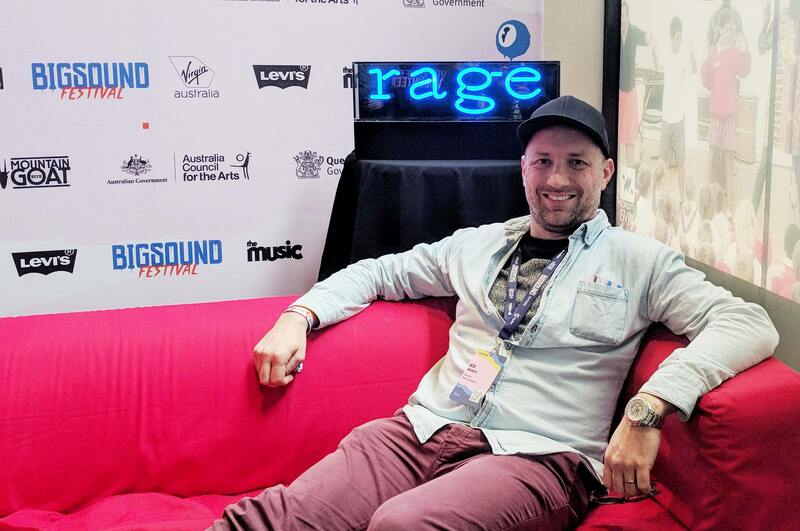 Now that I’ve been back from BIGSOUND for a week, it’s a chance to look back and dissect the biggest four days in the yearly music industry calendar. 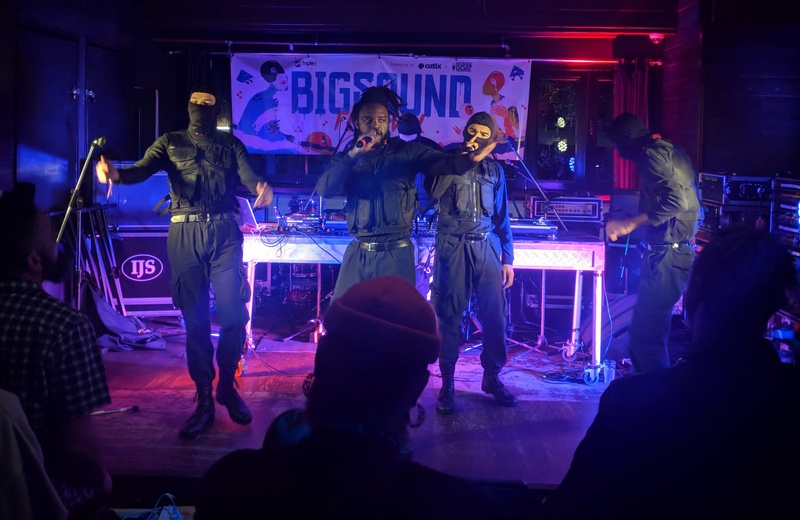 This was my third BIGSOUND and easily the biggest and best that I’ve seen. The calibre of artists is always extremely high, but imho, the immense talents of young up and coming stars is just growing exponentially. Teenagers are creating music that is of such a high level, you can’t not stop, listen and sign them up on the spot. As usual, there were a number of buzz bands that were ‘must-sees’ over the week, but it’s always the ones that become buzzy during the week that are the most exciting. It happened on the first night. Tuesday night is not usually the time you’d expect to see the best performance of the week, but it happened to me. At the famous old venue, the zoo, Melbourne three-piece post-punk band, Cable Ties, played a performance that can only be described as life-changing. Having already been a fan of the band, I knew that I loved their music, but what I experienced standing in that only half-filled room was nothing short of spiritual. Jenny McKechnie’s voice is nothing short of precise power punk; piercing through the room like a laser beacon, hitting you in the ears, leaving you breathless before moving on to it’s next victim. The songs are such that they will consume your body more than once in their, sometimes, 6 or 7 minute progression. The drum and bass from Shauna Boyle and Nick Brown drive this band in a direct and reliable orderly fashion, giving McKechnie the chance to explore guitar lines in between the power-chords. To say this was my favourite performance of the week is not an understatement. There were plenty of great ones, but not many moved me in the way Cable Ties did on the first night of BIGSOUND. 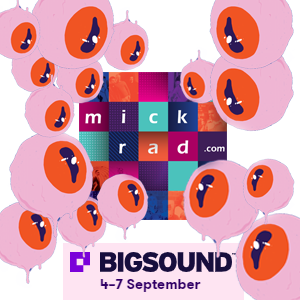 BIGSOUND is famous for throwing up surprise showcases, parties and events. There were a few doozies this year. Paul Kelly‘s ‘secret’ gig at the zoo on the Wednesday night was a huge highlight (check out my review here), Regurgitator’s appearance at the Oztix party was a massive delight for young and old fans, but for me, the biggest surprises (happy ones) are when an artist does a gig so good that you weren’t expecting it. For me, it came on the last night, standing in the dark at the front of the Black Bear Lodge. Nardean had the crowd in the palm of her hand during her mesmerising soul and hip-hop performance, but when she stopped, told us all the ignore the talking crowd in the back of the room and listened to her doing spoken word poetry, I didn’t feel more connected to an artist all week. There was so much love in the air at that moment and it was unexpected, exciting and beautiful. There are a few that will springboard their BIGSOUND gigs into stardom over the coming year. Not that they needed to play the conference for this happen, but it certainly can accelerate your presence in the industry. Flanked by his masked entourage, Genesis Owusu absolutely slayed every performance he did over the week. Even if you weren’t a massive hip-hop fan, you could appreciate the energy and passion that went into every show he did and the little things that showed how much he cared about his performance. Switching between soulful lyrics of awomen amen to the pure fire of Void, it was exciting to see the crowd reactions to Canberra’s Owusu. Hard work pays off and one band that worked damn hard were New Zealanders, The Beths. They could be witnessed zipping between venues all week, whether it be an industry showcase or a scheduled nightly gig, they were non-stop and it means that even if you didn’t know it, you probably saw them. Their power-pop sound is easy to listen to and it’s packaged in a really nice delivery on stage. Fun, exciting and very well performed, I can see their album getting picked up worldwide any day now. Those damn kiwis know how to get noticed! 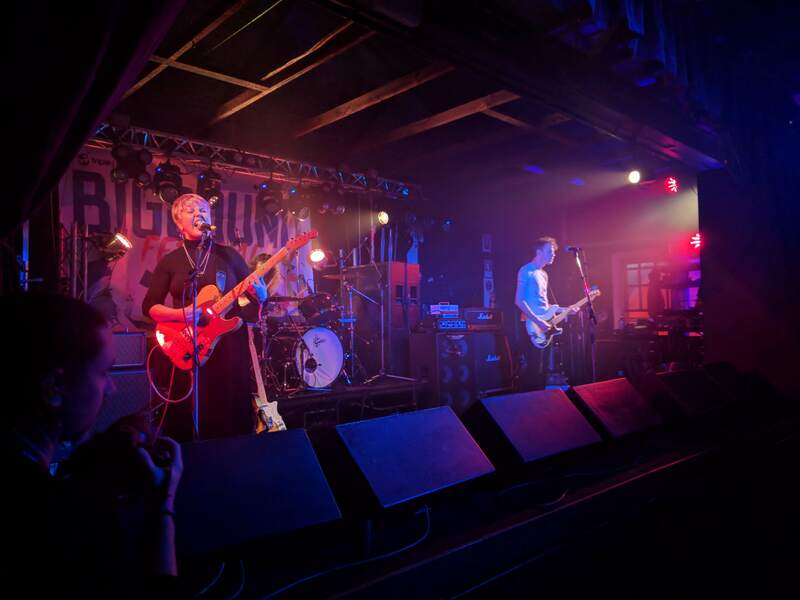 I saw them early in the week as well, but their fun and passionate performance in front of a small crowd at the zoo on the Tuesday night was representative of the hard-work Cry Club have been putting in to their music. With just two members, this sad-punk group create such a racket that you are looking for their hidden musicians. Vocalist, Heather Riley, completely owns the stage, throwing themselves around and wailing the words to their punchy tracks. Can’t wait to see the rewards for their work over the next year and it’s already started with a support slot on Bec Sandridge’s upcoming mini-tour and a slot at the ‘Not Fest’. “Whose Album or EP should I go and listen to right now? Not only is he a multi-talented drummer and rapper, but DOBBY is seriously one of the nicest musicians I’ve ever bet. With a brand new self-titled EP released just two weeks, I suggest you get on-board straight away and dig the music that he’s creating. It’s self-aware and clever hip-hop and it’s bloody fun to boot. With a friendly smile, a quirky dance and lyrics that warm you heart, imbi the girl is an artist that you’ll want to revisit over and over. She has just released her debut EP, For Me. It’s worth your time listening to and if you get a chance, see her live. You’ll stop stop smiling. I saw them a few months ago and it blew me away, but Slowly Slowly‘s second album, St. Leonards, is mature, well-written rock for the modern age. 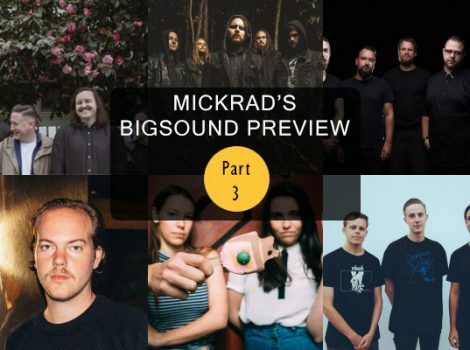 Reports from BIGSOUND indicate they packed out rooms wherever they went and it’s great that they are getting huge national appeal now. You may not be able to listen to it just yet, but HANDSOME are about to release their debut EP and it’s going to be special if the three tracks we’ve heard so far have anything to do with it. Their live shows attracted big crowds and the positive energy on stage was joyful and damn, you just had to dance. 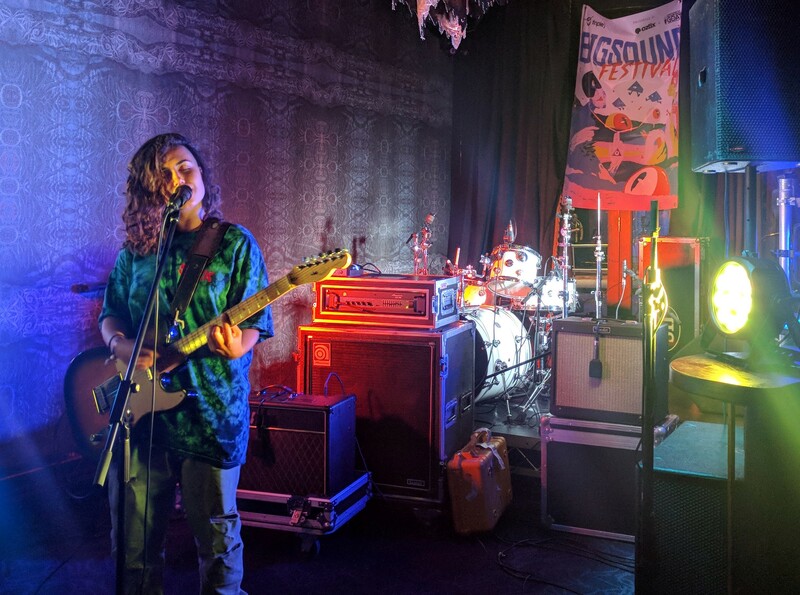 Debut EP, No Hat, No Play, comes out on the 21st of Sept.
Another live voice that really stood out at BIGSOUND was that cheeky voice of Turquoise Prince. The Canberra native that has made a heap of new connections since moving to Sydney is on the verge of a release and it’ll be something worth looking out for. Until then, check out Lighter and his live acoustic performance of Sunday Sesh. Coming out of the top-end with a voice that would melt butter and grade-A banter for a teenager, Stevie Jean is getting ready to make waves as she tours with Caiti Baker over the next month or so. I’ll be looking closely for her next track, but till then, take a listen to the one that broke her, Hell In Every Religion. When there’s 148 artists on the line-up you actually cannot physically see them all, so there’s a constant state of FOMO throughout the week. I was constantly asking people for their highlights and getting ideas for the coming days, but by the end you still hear about those shows that you missed. I was writing for The Music all week and their were recording a podcast in one of the Valley bars all week. One of the artists that I was told was simply the best, was Carla Geneve. I totally didn’t get to see her show at all, but thanks to the amazing Internet, you can relive her excellent intimate performance as recorded by The Music. After the first night, all of the talk was about Voiid and their manic live performance. I had them on a very long list of bands to try and get to all week, but alas I didn’t make it. I will make sure to see them soon to put a very big tick next to them. Another artist that was buzzed from the start that I just didn’t get to was the smooth-pop sounds of San Mei. I heard that her set really showed off her talents and diversity of sound. Definitely have to catch up with this at some point! Working out the most exciting and overall ‘winner’ of the festival is pretty hard. 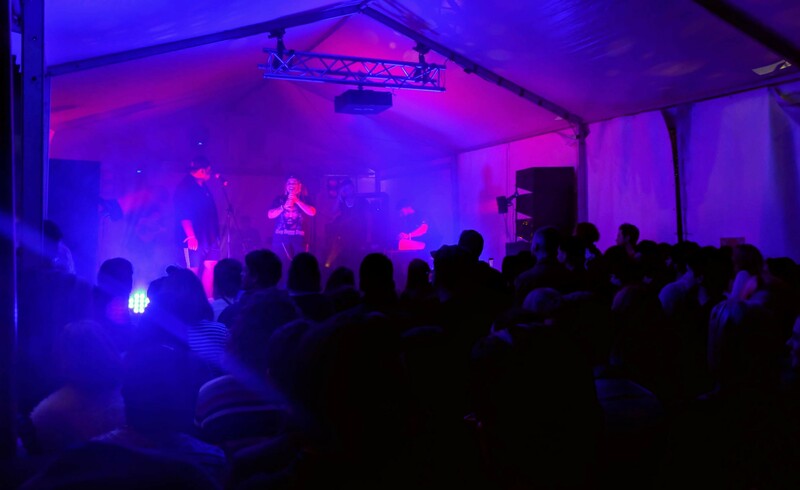 The fact that so many in the industry get to experience the best new music in the country in one place while standing next to a manager, booker, radio host, journalist, label boss or CEO, makes the conference itself and the Australian music scene the ultimate winner, but that’s a cop-out. More specifically, the winner of BIGSOUND 2018 was Kaiit. The immense crowd at her first showcase gig at The Brightside is now infamous. I heard from multiple sources that it was the biggest, most crammed venue for the whole week and this was even more pronounced at her second showcase gig in Ric’s Backyard. I was lucky enough to squeeze into a spot and experience the powerful soul voice of the 20-year old singer from Melbourne. When she sings on stage, she transforms into an artist of confidence, power and presence. When she speaks in between, she shows just how humble, excited and charismatic she is, constantly blown away by the attention she has received. It’s not often that an artist can so universally be heralded as the ‘next big thing’, but this also means that she has be careful of the path that she walks, so as to retain her individuality and magnetic personality. 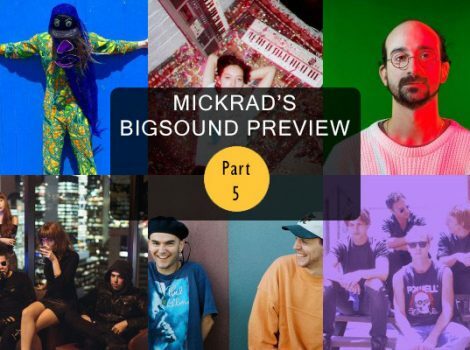 Time will tell what will be next for the class of BIGSOUND 2018 as they venture into the scary world that is the ‘industry’ with new contacts, experiences and knowledge under their belts. I’ve only just scraped the surface of some of the acts that caught my eye over the week, but rest assured, there are more than a few that will be household names within a couple of years and we, the lucky few, get to say we saw them first.